This was a strange way to start the show. I'm not saying it was a bad choice but the Money in the Bank Ladder match would've made a better option to open the show in order to get the crowd pumped up straight away. Instead we had this match and it was more than adequate but it felt like there was something missing. All four teams looked very good, Big Cass looked especially good but overall this just felt like a way to get all four teams in focus on the card. Maybe a normal tag team match was a better way to go. This was just doomed to fail. A poorly crafted story and a lack of interest from the crowd meant that no matter what these two did, it was always going to be average at best. In fairness it was by far the best match they've had together and had this been the first encounter between the two we would probably want more, but both of these men need to move on to something else. Ziggler especially looks like he could do with a character change. So in the end the only reason this match was here was for the Natalya heel turn? This entire match and what followed it could have taken place on an episode of RAW or even SmackDown. Instead, WWE decides to invite criticism of their handling of the women's division for the sake of a lacklustre heel turn while yet again Becky Lynch is booked to look like the fool. Why is Natalya even turning on Becky already? Seriously, WWE need to make sure they don't make this any worse. Like Corbin vs Ziggler, this match was fairly good but also suffered from a lack of interest from the crowd and poor storytelling. It was a perfectly acceptable first PPV match for Apollo Crews. 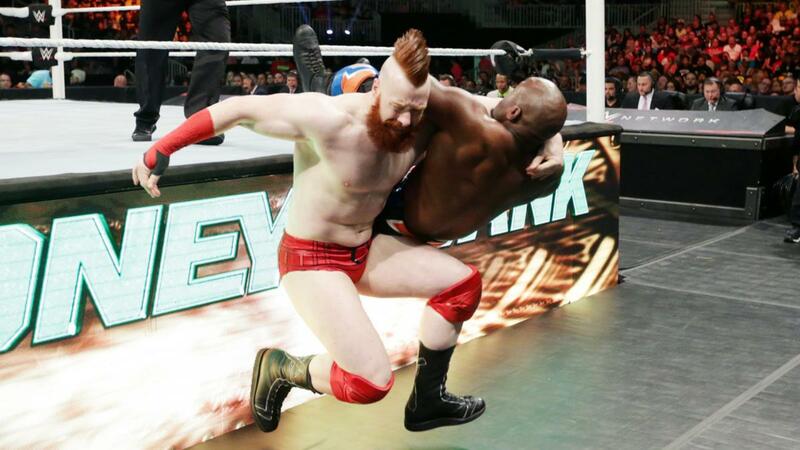 He showed his athleticism and Sheamus was his normal brooding, angry self. Hopefully WWE can add some more character development to Crews and send him on his way towards bigger and better things. It finally happened and it did not disappoint. Both men were brilliant. Cena did his whole gimmick of being really good and under appreciated while Styles was phenomenal (pun intended). What was really interesting was how well they told the story. Styles was booked to look on par if not better than Cena. He always looked 2 steps ahead of Cena. Yes, maybe the finish ruined the match a little but think of it like this. AJ and Cena now have unfinished business, meaning we likely see this match again at Battleground and Summerslam. No doubt their in-ring chemistry will progress during that time so this is far from over. Reason to be excited. 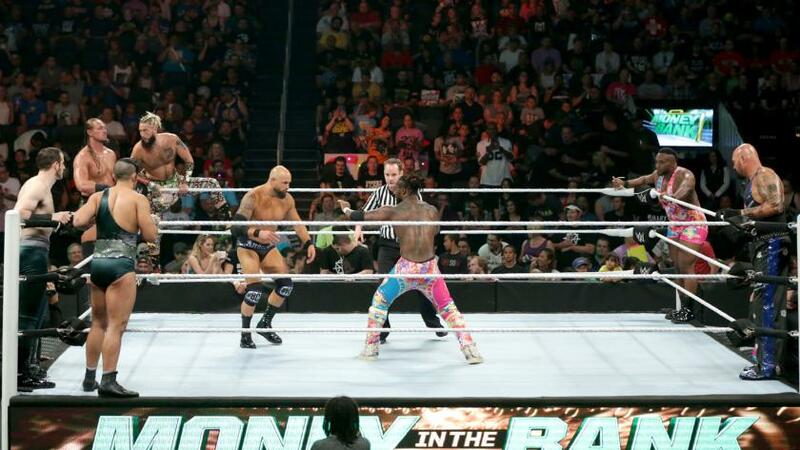 This was everything you'd expect a MITB match to be. It was just a spot fest. Cesaro and Alberto Del Rio were the dark horses here with both men performing very admirably. As expected, Kevin Owens was great and taking a Michinoku Driver on a Ladder the way he did? Wow. 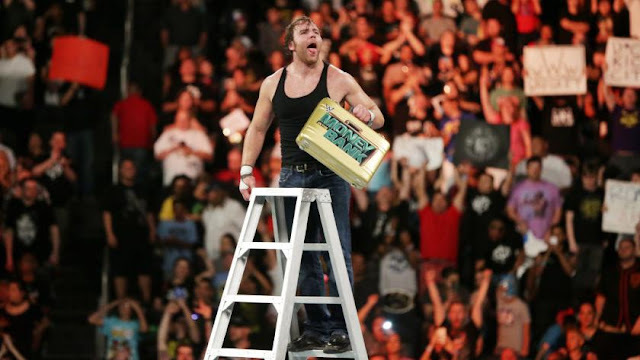 Eventually Ambrose grabbed the case which set the stage for a barn burner of a main event. Dominant Rusev is back. Rusev and Titus put on a fairly good match but Rusev's interaction with Titus' sons at ringside is really what made this match. Eventually Rusev forced Titus to submit to the Accolade and taunted his sons at ringside. Rusev really is a hugely talented member of the WWE roster. Thankfully they seem to be seeing that again. As expected this match was excellent. Reigns and Rollins have great chemistry in the ring together. Seth Rollins thankfully showed no adverse affects from his Knee injury. The match was full of great spots and arguably the best one of the night came when Seth Rollins executed a Superplex on Roman and then immediately followed it up with a beautiful Falcon Arrow. Eventually, Rollins pinned Roman clean (yes, clean) with a Pedigree to win the title to a huge reception. Dean Ambrose then attacks, Rollins from behind and hits Dirty Deeds to cash in MITB and win the title. It'll be interesting to see where WWE go from here. Obviously a Shield triple threat is looming but it would be a bad move to have it at Battleground next month. This match is clearly one that should be saved for a big event like Summerslam/Wrestlemania. Either way, Money in the Bank was a very acceptable PPV. Winners, grades, reactions and analysis of WWE PPV WWE Extreme Rules 2016 on Sunday 20 June 2016 at the T-Mobile Arena in Las Vegas, NV, featuring Roman Reigns vs. Seth Rollins.